By identifying the fundamental patterns in the way our brain genetically processes the world around us, we overcome misunderstanding, conflict, and wastage of individual and group potential. Awareness of these “Brain Communication” processes gives us the means to maximize our capacity act intelligently, to Turbo Charge our natural gifts and use them to maximize our ability to develop “software” for our brain to achieve greater competence across many disciplines. We are able to understand others at a deeper level and unleash greater potential for relationships at work and at home, for easier learning and teaching, and for greater harmony and cooperation with our environment and our teams. 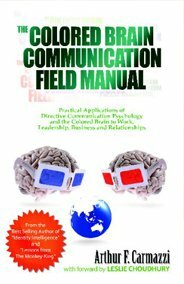 This Manual, gives you the Practical Applications of Colored Brain and how You and Your Organization can Benefit from it. This fantastic journey deals with the very real dynamics of how an organizational culture affects an individual and their personal effectiveness. Transform your corporate culture with Directive Communication Psychology and have fun in the process. This “HOW TO” journey empowers you to access the resources you need to make a BIG difference in the way people act and treat each other at work. 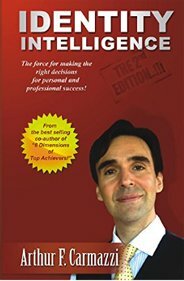 Armed with psychology and force multiplication strategies you will learn in this book, you can lead the change no matter what position you have in your organization; one individual can make a difference. 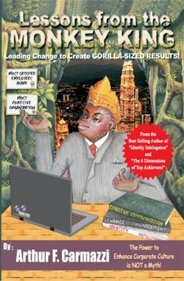 Prepare to be inspired on this fun and magical journey toward an effective and fulfilling work environment with Arthur F Carmazzi and become an organizational Monkey King.